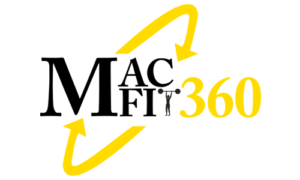 What is the Macfit360 Rewards Program? At MacFit360 we wish to reward clients for their loyally. Clients will receive discounts & credits towards purchases at MacFit360 Harbour Bay. Save money on memberships, personal training sessions, even a protein shake! How do you calculate the points? When you purchase products or services at MacFit360 Harbour Bay, your rewards points are automatically applied. Our front desk staff can help you decide on when you wish to redeem you discounts & credits. Can I use my points at the Studio at AIP? MacFit360 Rewards are only available at Harbour Bay. How many points do I need to redeem my discounts & credits? For every 600 reward points you get a instant $50 discount credit on your next purchase! Woo hoo – got to love that discount feeling. Yes, your unused points will expire in 365 days from when you earned them. What is the effective date for the MacFit360 Rewards Program? The program became live on Dec 19, 2018. All purchases made on / after that date will earn points. Do you earn reward points for Corporate Accounts? MacFit360 Rewards is only valid for individual accounts and corporate accounts do not earn points.